With access to over a hundred lenders, we can offer the best solutions to any type of commercial loan scenario. 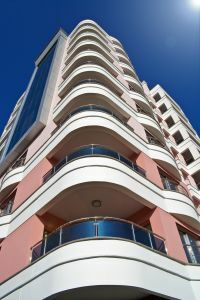 A commercial mortgage broker acts as a liaison that obtains mortgage loans on behalf of individuals and businesses, such as investors and real estate developers. Conventionally, lending institutions, such as banks, have distributed their own products. However, because the markets for commercial mortgages have developed into a more competitive industry, mortgage brokers have become more popular than ever. Especially in developed markets, mortgage brokers have become the largest distributors of mortgage products for lenders. While the extent of regulation of the practice of a commercial mortgage broker varies on the jurisdiction in each state, mortgage brokers are regulated to make certain that its clients and borrowers are protected. While the nature and range of a mortgage broker's activities varies with jurisdiction, their activity can be divided into dealing directly with individuals and businesses and lenders. Mortgage brokers market to attract clients, assess the borrowers' credits and assets to determine affordability, analyze the market to match borrowers' needs, acquire necessary documents, complete lender application form and submit required materials to lender, and explain the legal disclosures to the clients and act a liaison between the lender and borrower. The presence of a mortgage broker simplifies mortgage process for borrowers and ensures that the process is going smoothly. For over 31 years, Ocean Pacific Capital has prided itself on being one of the top commercial mortgage broker in the nation. To see how we can exceed your expectations, email or call us to contact one of our commercial loan specialists to see what we can do for you today.